Can we change our destiny or fate? It might sound like a cliche but the answer is “yes” and “no”. Yes, by improving our personality, education, skill, mind-set, attitude and hard work. But Chinese birth reading is not one of…. Feng Shui Direction/Facing A lot of my clients are curious over the “degree” use to calculate the 宅命 Home Destiny. My clients pointed out to me some confusion over what they read via web. Here i attempt to explain but…. Office feng shui 宅命 Destiny When i first started doing feng shui on adhoc basis some 20 years ago, not many Singaporeans heard of the term “宅命” in feng shui translate literally in English means “Destiny”. 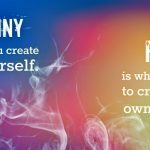 Feng Shui “Destiny” is like…. 2016 Feng Shui Forecast The year of the zodiac sign Monkey commences on 04 February 17:47 hour (commencement of Spring season) which marks the beginning of 2016 feng shui. Over the last 3 years 巳午未 (snake, horse, goat) it was…. Feng Shui Master Singapore Retail Shop feng shui services 商店风水佈局 With the current sluggish growth in Singapore retail business, most are opening up shops like mushrooms in suburban part of Singapore hoping for some bottom-line improvements? One note of caution…. Feng Shui Singapore 2015 forecast On 04 Feb 2015 11:58 hour we usher in the Year of Goat 乙未 年 which is the day of Spring commencement 立春. Year 2015 stem 天干 is 乙木 (阴 Yin Wood) and root 地支….